Everyone has their own set of criteria that they use to evaluate add-ons for usage. This book introduces some of the areas that one could look at to evaluate whether or not to use an add-on and the possible impact of doing so. 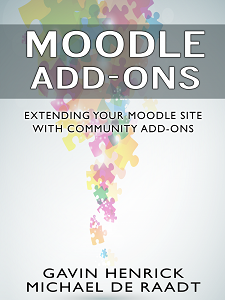 "This book covers ground that is fast-changing, but I think it provides an excellent overview of the work that our community are doing in this area and will be a useful guide to help Moodle administrators explore what they can do with their Moodle site"
- Martin Dougiamas, Moodle Founder.